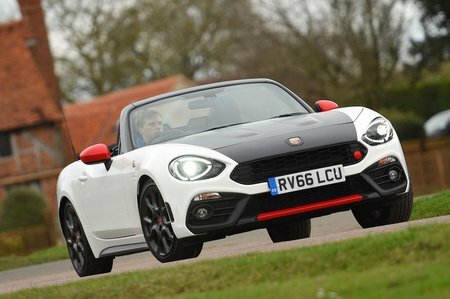 Abarth 124 SPIDER 1.4 T MultiAir Review and Deals 2019 | What Car? There's only one engine: a tuned version of the turbocharged 1.4-litre petrol that's also in the Fiat 124 Spider. In the Abarth, the 0-62mph sprint takes just 6.8sec, and while it can feel like you're waiting for the turbo to kick in at times, the engine pulls strongly once it's into its stride.